Judging by the reduced length of September´s XL Eclipse event, it looks as if 888Poker is scaling back its flagship tournament series compared to previous years. 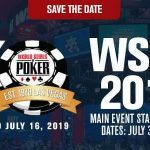 That´s not a surprise considering the series was “eclipsed” by PokerStars´ World Cup of Online Poker and Party Poker´s PowerFest twelve months ago and the three tournament series are due to coincide again next month. 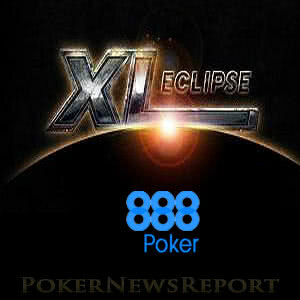 Despite its smaller size, 888Poker´s XL Eclipse tournament series should not be ignored. 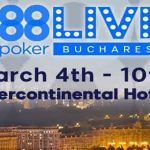 There can often be quite a lot of value in the series “non-feature” events, plus 888Poker is very good at supporting its flagship tournament series with potentially valuable promotions. The promotions for September´s series are yet to be announced in full, but we know they will consist of free seat qualifiers for a Mini Tune Up tournament and the $1 million guaranteed XL Eclipse Main Event. Currently there are XL Eclipse Main Event “sub-sub-satellites” running every hour (providing at least six players register) with buy-ins of just $0.50. The hourly sub-sub-satellites guarantee one ticket for a $12.00 buy-in sub-satellite that takes place at 7:35pm (CET) each evening. The $12.00 buy-in sub-satellite only needs nine players to start, yet guarantees a minimum of five seats in a $109.00 buy-in satellite at 10:05pm (CET). There are also $5.00 buy-in “satellites to $109 tournaments” running throughout the day that award three $109.00 tournament entry tickets in each. 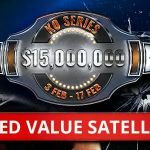 The $109.00 buy-in “final” satellite may only guarantee one seat in the $1 million XL Eclipse Main Event, but the seat is worth $1,050 – and the qualifier only needs five players to start. In our opinion, it is well worth investing $0.50 while you are waiting for the much busier free seats promotion to get underway. This path to the target event is going to be much quieter and there is likely to be some value – especially in the $12.00 buy-in sub-satellites – while the target event is six weeks away. We recommend you give it a go to see how far you can get. If you score in the Main Event after starting the qualifying route at $0.50 level, you will be pretty happy you followed our recommendation! 888Poker is once again tempting players to take part in as many XL Eclipse events as possible by offering additional rewards to those who perform well in multiple tournaments. For example, if you cash in 8 or more events, you will receive a $215.00 tournament ticket. If you reach the final table in three or more events, 888Poker will give you a $600 tournament ticket; and, if you win multiple XL Eclipse events, the cash really starts pouring in. 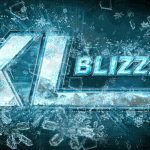 There is $1,000 in cash for any player who wins two XL Eclipse events. If you are the last man (or woman) standing in three XL Eclipse events, the prize increases to $10,000. Win four XL Eclipse events and you are in for a $100,000 payday, and the prize increases to $1 million in cash if you are successful in five of the series tournaments. It´s a very difficult ask to win multiple events in such a major series, but you can start your quest today by qualifying for the XL Eclipse Main Event for as little as $0.50.